Homes For Sale in Woodmont Subdivision Foley, Al. Have you always dreamed of moving to the south, where the weather is warm and the living is easy? What on earth could be stopping you? Coastal Alabama offers lots of options, from beachfront condos to country homes with acreage. Subdivisions with new construction are plentiful, as well, and Woodmont in Foley, Alabama is one of the finest. 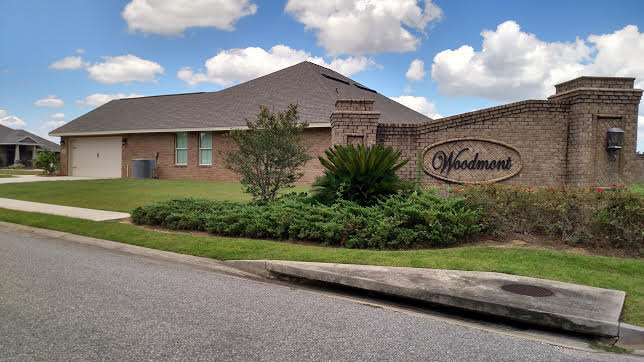 Woodmont Subdivision is located on the north side of Foley, just fifteen minutes from the beautiful white sand beaches of the Gulf of Mexico. Several different builders currently have homes under construction in Woodmont, including Adams Homes, DSLD Homes, and D.R. Horton. With these builders, buyers can pick an empty lot and choose all of their finishes, or select a home that’s move-in ready. So, y’all come! The perfect home is waiting for you. Click here to see all available homes in WOODMONT SUBDIVISION.